The Evidence Collection Technician Program is designed to verify an applicant’s fundamental knowledge as measured against core job performance requirements of established professional qualifications standards and standard industry practices related to evidence collection on fire scenes. 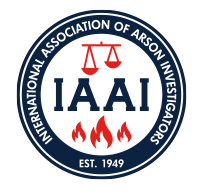 This measurement is not all inclusive of the incorporated professional standards cited, but lays the foundation for measuring the holder’s fundamental ability to perform specific evidence collection tasks related to fire scene investigation at an acceptable level as measured against published acceptable practices. The applicant must provide documentation of meeting minimum requirements including experience, training, and education. Upon approval they must successfully pass a comprehensive practicum examination. The applicant must provide documentation of meeting minimum requirements including experience, training, and education. Upon approval they must successfully pass a comprehensive practicum examination. The examination period is four hours. A minimum of 18 months of general experience in a fire investigation related industry. A minimum of 12 items of forensic evidence collected. The applicant is responsible for submitting general supporting documents that include the location of the examination, the date of the examination, and the particular type(s) of evidence collected. Minimum of 29 hours of tested training.